Max Silver took down Event #53: $3,000 Limit Hold’em 6-Handed for $172,645 after a dominating performance at the final table. 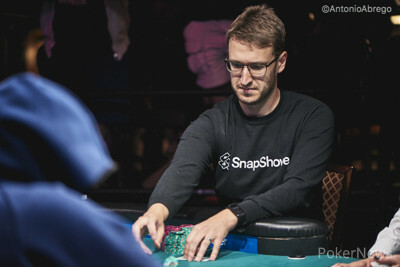 Coming back to the six-handed final table as the chip leader, Silver took just under nine hours to see his competitors off and walk away as the newest recipient of a WSOP gold bracelet. Although Silver has several other large scores, including a UKIPT title from seven years ago, this has to rank as the most significant score of his career so far. Silver started off how he intended to go on, eliminating David Olson in seventh place with Big Slick. With the official final table underway it took a while before the next elimination. Georgios Kapalas fell in sixth place ($22,952) when his hero-call with queen-high was picked off by Mickey Craft's pair of kings. The lone female at the final table, Lena Wang lasted a while short-stacked before Silver picked her off. 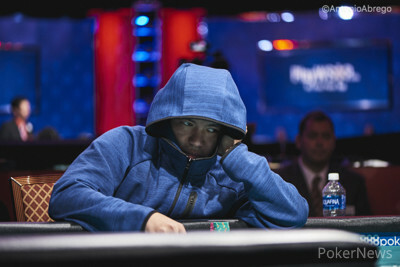 Wang finished in fifth place ($32,345). Eventual winner Silver stretched his lead to around two million before the next elimination, when Craft knocked out another player — this time, it was Ayman Qutami in fourth place ($46,871). Qutami held ace-five, but Craft’s queen-eight had made a pair, and Qutami couldn’t find an ace on the river. 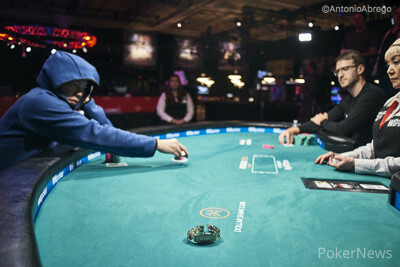 Three-handed, Silver had more than half the chips in play, and it was apparent that both Craft and Geowei Zhang were aware of the pay jump between third and second. 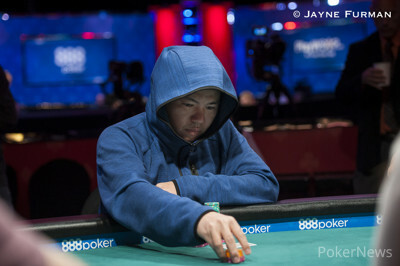 Eventually, and despite a couple of doubles, Craft fell to Zhang in a three-way all in for third place ($69,789), and the heads-up battle was set. 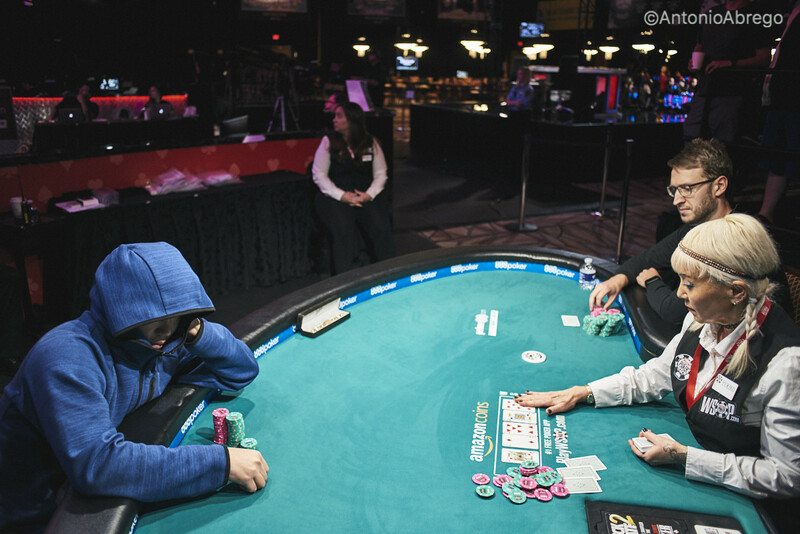 Coming into heads-up, Silver still held a commanding chip lead, and despite a straight flush for Zhang at one point, the American wasn’t able to put more than a dent in Silver’s stack. In the end, Silver spiked one of his six outs to deny Zhang a chance to get back into the match. Zhang took home $106,694 for second place, but Silver took home $172,645 for his efforts, along with his very first WSOP gold bracelet. Reflecting on his win shortly after having his photo taken, Silver said he was "so happy" to win a bracelet. "I can't really describe it," he began. 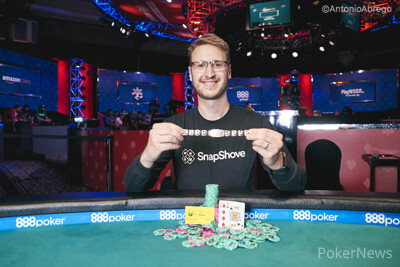 "It's always been a dream for me to win a bracelet. I've come third, sixth, ninth...whatever. It's nice to get the win. I haven't had a big win in a while. "I did what felt right at all times, and it seemed to work out. I don't claim to be a limit expert by any means, but I played reasonably well and I'm pretty proud of it." 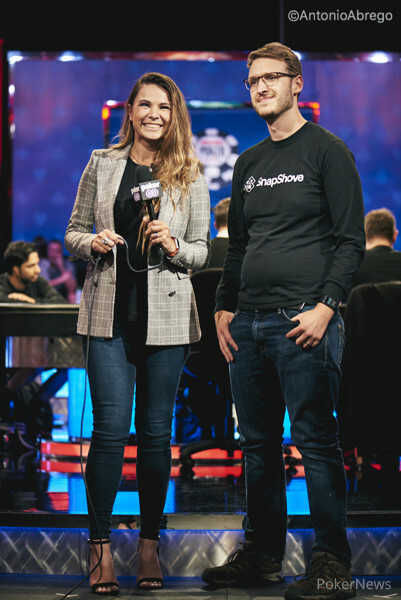 Silver went wire to wire to win his first WSOP gold bracelet and nearly $180k in prize money, but he said that the chip lead didn't really play as big a part as people might expect. "Really it's just playing the cards each hand, not playing the chips," he said. "But, for sure, it helps!" Silver added, "It's poker and you get what you get. I was optimistic but this is far higher than anything I could have hoped for!" The first person to hear about Silver's win? His wife, whom he telephoned from beside the final table. "She was so happy. She's currently six months pregnant, so she was crying — extra emotions! — but, to be fair to her, she would probably be crying anyway. "I'm going to see her in about 12 hours. I'm flying to New York, she's flying to New York, and we're going to meet in the middle!" Silver finished his interview with a veiled warning to his fellow competitors: "I'll be back in five days." Hand #235: Guowei Zhang limped and called a raise from Max Silver. The flop was . Silver bet, then called a raise from Zhang. The turn card was the , and a check from Silver saw Zhang move all in. Silver was at a loss for a moment or two, but a glance at the pot seemed to convince him to call. The river was the . Silver hit a better pair to eliminate Zhang, and the two shook hands as cheers rang out from the rail. Hand #231: Guowei Zhang raised, and Max Silver called. The flop was , and Silver check-folded. Hand #232: Silver raised, and Zhang called. The flop was , and a bet from Silver took the pot. Hand #234: Silver folded, and Zhang got a walk. Hand #226: Max Silver raised, and Guowei Zhang folded. Hand #227: Zhang limped, and Silver checked. The flop was , and Silver checked. Zhang bet, and Silver folded. Hand #228: Silver raised, and Zhang called. The flop came , and Zhang check-raised Silver. Silver called. The turn was the , and Zhang bet. Silver folded. Hand #229: Zhang limped, and Silver checked his option. The flop was , and Silver bet. Zhang folded. Hand #230: Silver raised, and Zhang folded. Hand #221: Guowei Zhang limped, and Max Silver raised. Zhang called. Silver check-raised Zhang's bet on the flop, and Zhang called. Silver bet the turn, and Zhang called. Both players checked the river. "Ten?" asked Silver, showing . It was good. Max Silver offered Guowei Zhang some water. Zhang declined. Hand #222: Silver raised, and Zhang called. Zhang check-called a bet on the flop. He check-called another bet on the turn. The river was the , and Zhang check-folded. Hand #223: Zhang raised, and Silver called. On the flop, Silver check-raised his opponent, only for Zhang to re-raise. Silver called. The turn was the . Silver bet, and Zhang raised and was all in. Silver called. Both players had turned a straight, and the river was the . Hand #224: Silver raised and took down the pot. Hand #225: Silver received a walk. Hand #216: Max Silver raised, and Guowei Zhang called. They got to the turn of the board, where Zhang check-called a bet. The river was the , and a bet fom Silver took the pot. Hand #217: Silver got a walk. Hand #218: Silver raised, and Zhang folded. Hand #219: Zhang limped, and Silver checked. They got to the turn of the board reading , where Zhang took the pot with a bet. Hand #220: Silver raised, and Zhang called. The flop was , and Zhang check-called a bet. The turn was checked, and on the river, a bet from Zhang took the pot. Hand #210: Max Silver raised, and Guowei Zhang called. Zhang check-called a bet on the flop, then check-folded on the turn. Hand #211: Silver received a walk. Hand #212: Silver raised, and Zhang called. Zhang check-folded on the flop. Hand #213: Zhang limped, and Silver raised. Zhang called. Silver bet the flop, and Zhang called. Both players checked the turn. Silver bet the river. Zhang raised, and Silver called. Zhang showed for a straight flush. Silver showed the for a straight before mucking. Hand #214: Zhang received a walk. Hand #215: Zhang limped, Silver raised, and Zhang called. Silver bet the flop, and Zhang folded. Hand #206: Max Silver raised, and Guowei Zhang called. The flop came , and Zhang checked. Silver bet, and Zhang called. The turn was the , and both players checked. The river was the , and both players checked again. Zhang showed for a full house and won the hand. Hand #207: Zhang limped, and Silver checked. The flop came , and Silver checked. Zhang bet, and Silver called. Both players checked the turn and river, and Silver won the hand with . Hand #208: Silver raised, and Zhang called. The flop came , and Zhang bet. Silver called. The turn was the , and Zhang check-called a bet from Silver. The river was the , and Zhang check-called another bet. Silver showed and won the hand. Hand #209: Zhang raised, and Silver folded.